Etat pochette VG : Very Good : La pochette est usée avec des plis, des marques, des décollements, une usure des bords, des décolorations, un début de marque circulaire du disque sur la pochette. 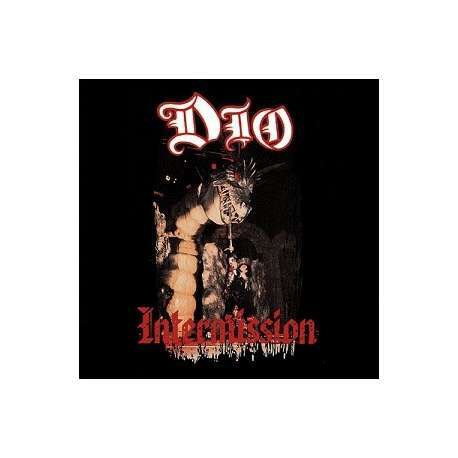 Intermission is the first live album released by the American heavy metal band Dio in 1986 on the label Vertigo Records in Europe and Warner Bros. Records in North America. The live songs were recorded with guitarist Vivian Campbell during the first leg of the Sacred Heart tour. Craig Goldy replaced Campbell in mid-tour, and the band wanted something to represent the new line-up, so they recorded in studio the song "Time to Burn" with him, which was added to this album.